As a former collector of Bronze-Age Marvel comic books, I was sad to hear of the passing of Stan Lee. As the creator or co-creator of so many comic book characters – the Fantastic Four, the Incredible Hulk, Spider Man, Iron Man, the Avengers, the Uncanny X-Men, Doctor Strange, the list goes on – Lee is one of the most meaningful entertainment influencers of our era. True, Lee owed a great debt to his prolific co-creators (and arguably more talented artists), such as Jack Kirby and Steve Ditko, but even though Lee’s style often promoted himself instead of Marvel and anyone else that made Marvel Comics the cultural juggernaut it has become, everyone from once-teenage comic collectors, to Disney executives appreciate his contributions. But this is only part of the story. 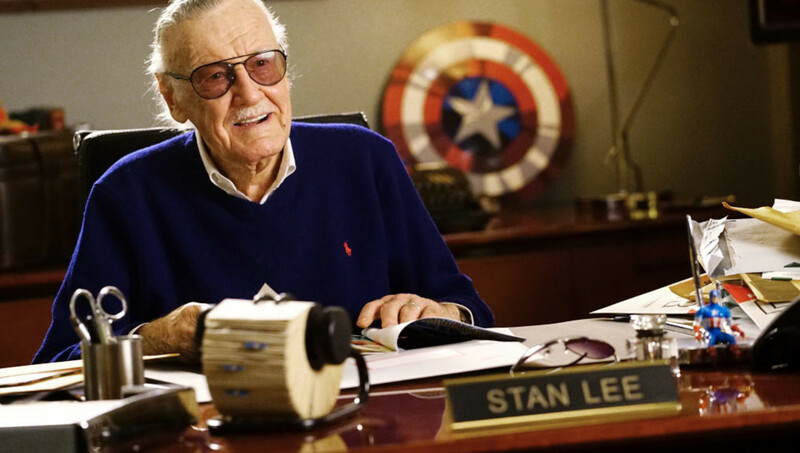 While Stan Lee had a huge impact on pop and pulp culture, his heyday years only lasted from 1961 – 1964, which was the time period when he helped to create many of the iconic comic superheroes of comic’s Silver Age. Prior to that he had been administering to Marvel’s precursor company, the obscure Timely Comics, followed by penciling and writing a decade of comics that featured lame cowboys, dumb monsters, and silly mysteries. Lee left Marvel’s primary production responsibilities in 1972. After that he made occasional voice-overs for Spiderman cartoons, and was a willing participant to the creation of the ill-advised 1972 Marvel Spider-Man Buddah Records album with Lee wantonly singing vocals for a silly song or two (indeed, this masterwork of Satan himself only lost the distinction of “Most Questionable Production of Anything Ever” when the Star Wars Holiday Special permanently claimed that title five years later). In other words: Only a few years made a lot of his legacy; this is not unusual and remember that Lee was in his 40s during his heyday, an age that made him an ancient artifact in the world of entertainers. Indeed, at the turn of the century it looked like Marvel was finished: Their stock market value was close to $100 Million, which is 1 percent of what Marvel is likely worth today. Lee would have still been remembered if Marvel had disappeared but would not have been a household name in the 21st Century. In addition, during his aging years he became associated with a movie empire so ridiculously enormous that one day we will have to explain to children what a non-super hero movie was. Yet despite his continued support and appearances, Stan Lee claims to have seen very little of the profits for the media-creation machine he captained and championed. His last years were spent as too-many aging individuals seem to live their lives: He became the target of outsiders trying to abscond with his intellectual property, disputes with family members trying to get too involved with his life, claims of undue influence, and all the other horrible things that people do to us when we start forgetting the name of our dog and finding that turkey and mashed potatoes is a proper food choice for every lunch we eat. The moral of the story is that we often build our legacies on the backs of only a few actions, decisions or happenstances, after which we are required to remind the world of what we once did, make some mistakes reminding them along the way, and not give up. Stan Lee was a superhero in this regard: He never stopped believing in Stan Lee, and taught us that some Superheroes aren’t born, they are created and maintained.